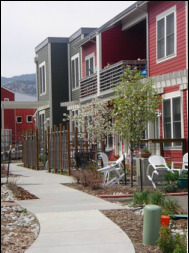 The Colorado Chapter of NAHRO (National Association of Housing and Redevelopment Officials) is a membership driven organization whose purpose is to provide professional development, advocacy and networking opportunities for public housing and community development agencies as well as other individuals and organizations working to enhance the affordable housing industry and promote viable communities in Colorado. ﻿COLORADO NAHRO ADVOCACY AND MESSAGING TOOLKIT NOW AVAILABLE FOR MEMBERS! Housing America is a campaign that aims to raise national awareness of the need for and importance of safe, decent affordable housing through education, advocacy, and empowerment. Click here for more information about you can be involved in the Housing America Campaign.